Event platform to keep customers connected and engaged. Getting the most from a conference means making the right connections. 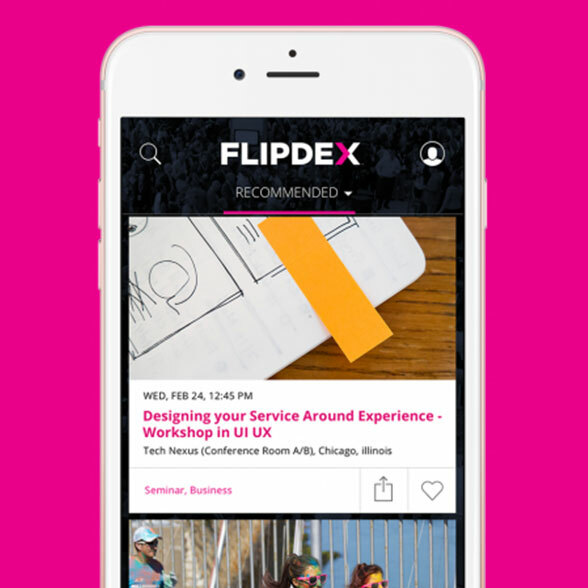 We developed the Flipdex event engagement platform to make it easier for conference-goers to plan schedules, connect with the right people and increase the return on their conference investment. Many event and conference attendees find it hard to get to know new people while keeping all of their session learnings straight. This is why organizations have started using event mobile apps. But most apps are little more than an electronic catalog of sessions. 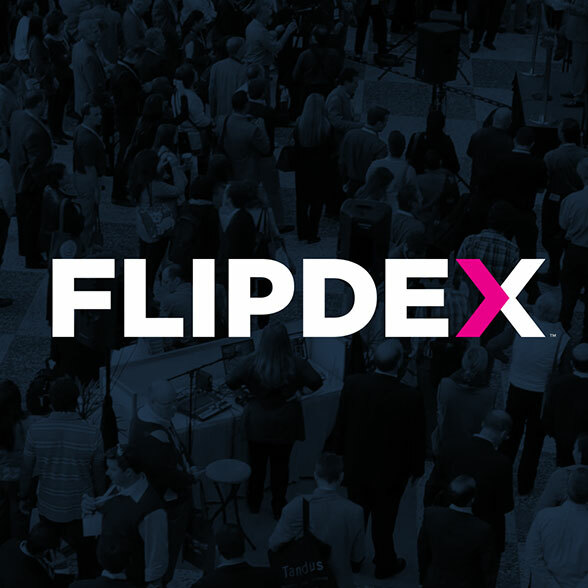 Flipdex takes event engagement to a different level with intelligent people connections and content delivery to maximize value for each participant. The app uses a proprietary matching algorithm based on participant interest that matches attendees with like-minded colleagues. The platform also uses gamified connections and in-app chat to increase engagement, and a scheduling tool for attendees to keep their itineraries straight. Systems of engagement help supercharge events. When customers are engaged, they’re more likely to reward you with loyalty, advocacy and wallet share. We designed Flipdex to help companies keep the attention of their customers through features like a gamified matching algorithm that matches attendees with colleagues that share their interest. The most successful companies are those that can quickly adapt to changing customer wants and needs. We incorporated a survey push notification tool so that conference organizers can quickly gather and address input from attendees. Conferences and events are typically nonstop, so every minute counts. We developed an in-app chat so that attendees could connect with colleagues in real time to arrange last-minute meetings or impromptu networking lunches.